After a long winter (not aided by some shaky performances on the football pitch from Liverpool), Formula 1 is finally set to return! On 13th March, practice begins for the opening round in Melbourne, Australia, with the race itself taking place on the 15th. I cannot wait! The Mercedes W06 is an evolution of last year’s dominant car (which would win all but three of 19 races), refining the nose as per the new rules and working on further tightening the rear of the car. Once again the engine is the class of the field, so once again expectations are high that Mercedes will be hard to beat. In testing the W06 was put through its paces and completed hundreds of laps without too much trouble, demonstrating reliability at an early stage, as well as allowing Mercedes to gather a lot of data about the car. 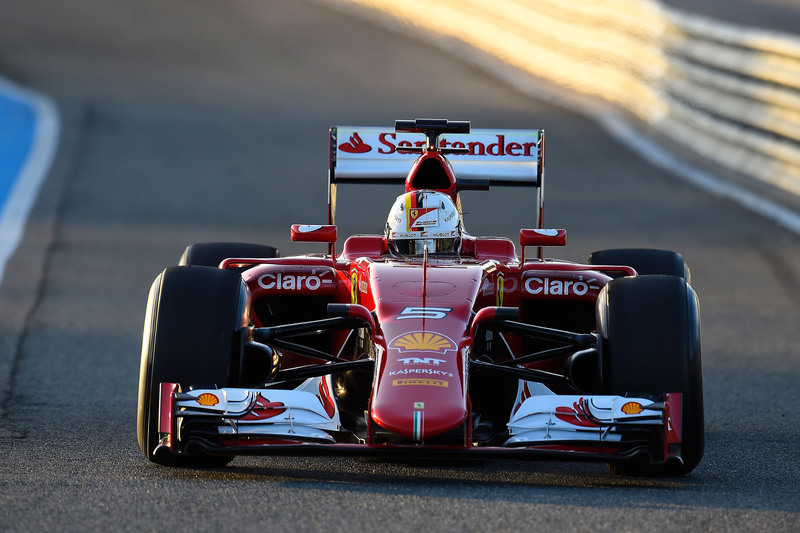 Toward the end of testing, it was also clear that the car is fast – around 0.7 seconds faster than the best times of their rivals. This would suggest a second season of Mercedes championships is very likely. As with last season, Mercedes line up with Lewis Hamilton and Nico Rosberg and the two will probably resume the title battle they had last year. Hamilton would win 11 races to Rosberg’s five in 2014, but Rosberg was consistent and will be very keen to get one over on his teammate, who has beaten Rosberg two times out of two in their time as teammates. Still, I imagine Hamilton will be fighting fit and determined to retain his title. 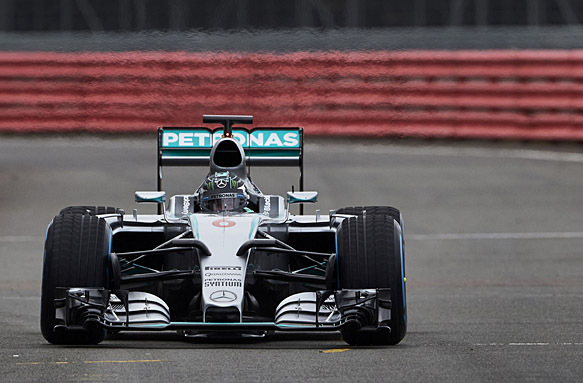 Hamilton is my pre-season tip to win it in 2015. Jumping from 9th in the constructor’s championship in 2013 to 3rd in 2014 was a huge transformation for Williams, and they will be desperate to continue making forward progress. The FW37 has been good in testing, enjoying consistency and good pace, developing nicely, and with the same Mercedes power as the Mercedes team, they can expect a horsepower advantage over several other teams. Bottas and Massa are once again the drivers and they bring a steady combination of experience (Massa) and talent (Bottas). 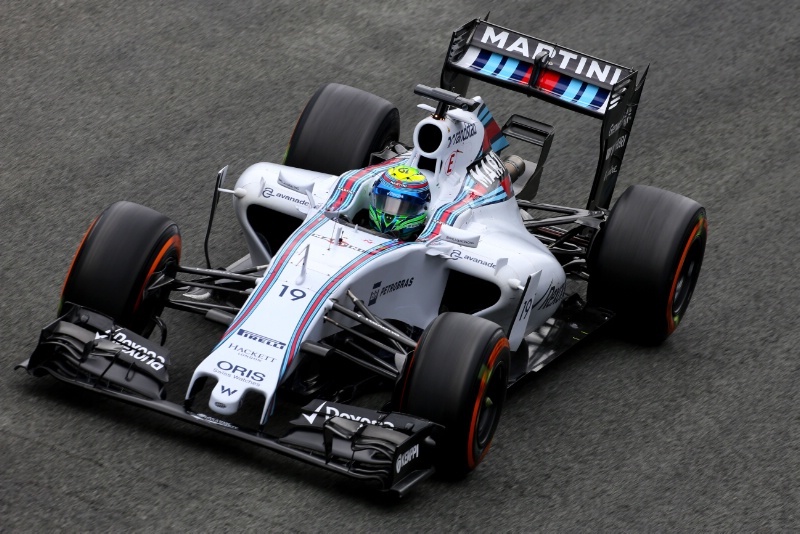 We could well see Williams winning races this year, though of course, it will be a tricky prospect to beat Mercedes. After winning four consecutive driver and constructor championships from 2010 to 2013, Red Bull were shunted down to second place in 2014, as the rules shifted away from their greatest strength – downforce – and toward engine power. The new RB11 boasts a Renault engine that is still 10% down on horsepower compared to Mercedes, but let’s not forget that Red Bull were the only team other than Mercedes to win any races last year – a mark of how good the design was, and with Adrian Newey’s design genius, even if he’s not at the centre of that process anymore, one would still expect a good car. Red Bull’s golden child Sebastian Vettel left at the end of last year to join Ferrari, so Daniel Ricciardo (who took all three of Red Bull’s wins in 2014) is paired with Russian Daniil Kvyat, who is entering only his second year in F1 after debuting with Toro Rosso last year. There have been some raised eyebrows over the swift promotion of Kvyat to the ‘A’ team, but Ricciardo has proven himself to be competitive in the right circumstances against established talents, and I suspect Red Bull will have a decent car. As good as the more powerful Williams? We shall see. After a disastrous year for Ferrari, which saw several high-profile sackings and the loss of arguably F1’s most talented driver to one of their biggest rivals, the SF15-T is the car that the team hope will begin a revival of fortunes, and with four-time world champion Sebastian Vettel joining them, Ferrari will also be hoping he can fill the hole left by Fernando Alonso. Vettel arrives at Ferrari with something to prove – his detractors have long maintained his success over the past few years has been almost entirely down to the car, and that he will not be seen as a true great until he has won outside of his comfort zone. Well, Vettel took the leap from Red Bull to Ferrari knowing how much Ferrari had struggled in 2014, so kudos to him for being brave enough to do that. The challenge now of course, will be to deliver results. Ferrari have worked hard over the winter, and the new car has already drawn favourable comments from Kimi Raikkonen, so it would seem they have moved in the right direction. Like Ferrari, McLaren did not enjoy a good 2014. 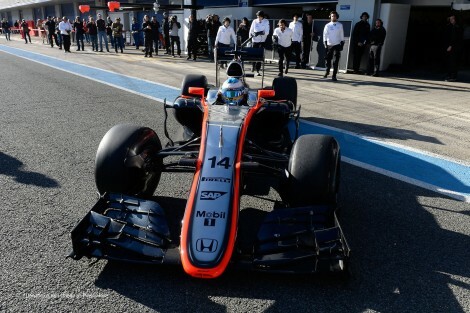 Though they boasted the same engine as Mercedes, the chassis simply wasn’t up to scratch, and McLaren nearly lost out to Force India in the constructor’s champion (but for Jensen Button’s efforts in the final race), which should be a sign of how hard they fell. For 2015 McLaren have partnered with some old friends. Their engine suppliers are Honda, who famously supplied McLaren with engines during their late-80s/early-90s spell of supremacy. The team have also gone to some lengths to streamline the rear of the car, as they seek to catch up to the aerodynamically strong designs of Mercedes and Red Bull. Testing of the MP4-30 has not gone well. Whilst most other teams have been able to put together at least 50 or so laps at a time, the best McLaren have managed in any one stint is 36 laps. They have been hindered by engine problems, as well as other issues with the car, so it seems highly likely they will arrive in Melbourne with concerns they won’t even complete the race. To top things off, new driver (and former driver, for that matter) Fernando Alonso wound up in hospital with concussion after a crash in testing, which means he will have even less experience with the new car come race day. For him and Button, the prospects of even a podium seem bleak. 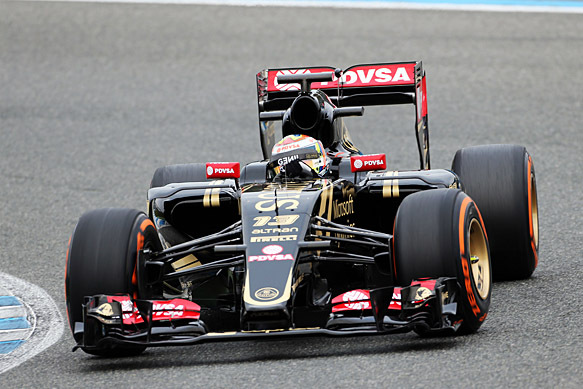 Another team to endure a difficult 2014, Lotus have switched from Renault engines to Mercedes power for 2015, with the feedback from drivers Pastor Maldonado and Romain Grosjean being quite positive. Signs are that the new car will be better to drive than the disappointing 2014 edition, which should serve Lotus in good stead. They were getting podiums and even winning races in 2012 and 2013 – it’s hard to imagine wins for them, but perhaps a podium? 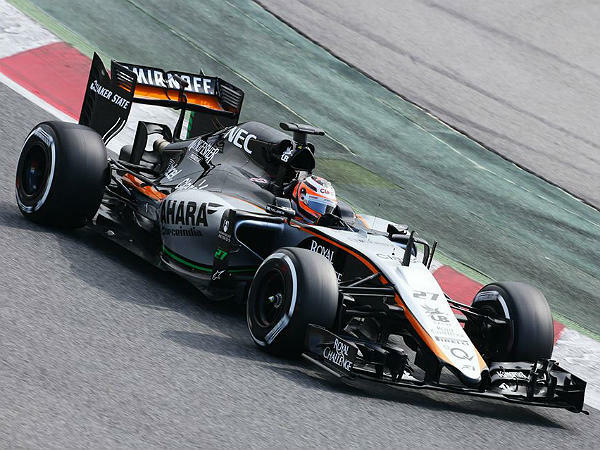 Force India were the last team to unveil their new car and get to testing, something which normally would not bode well for their season, though by all accounts the line-up of Perez and Hulkenberg were quite pleased by the car, which completed over 200 laps in testing. Deputy Principal Bob Fernley expects the team to start the year quite slowly, but he believes the extra time spent developing the car will pay off later in the year. The relatively small team have turned into quite a strong midfield outfit since they arrived in F1 and it would be a shame to see them go backwards, but sometimes, you have to take a step back to take two steps forward. This seems to be the approach. 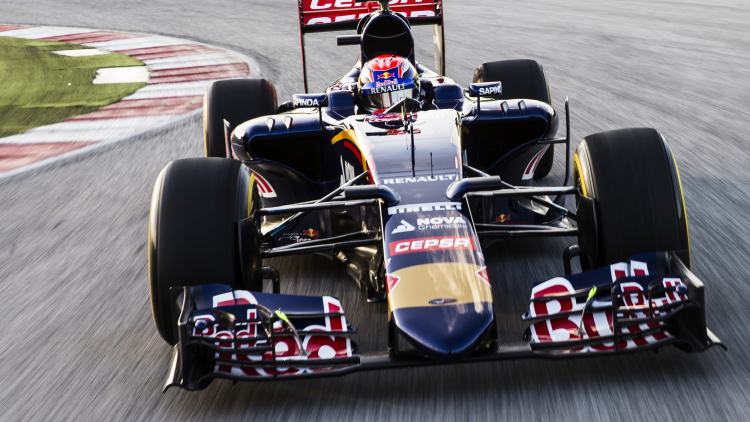 Often seen as the Red Bull ‘B’ team, Toro Rosso have worked hard on their new car, completing over 400 laps over the final weekend of testing alone, so there is optimism that the team has done all they can do to be ready for 2015. The STR10 has been favourably regarded by the drivers, who also happen to represent a completely new line-up. 17 year-old Max Verstappen will become the youngest Formula 1 driver in history when he makes his racing debut in Australia, and he will be joined by 20 year-old Carlos Sainz Jr, who is coming from Formula Renault 3.5. Two young, inexperienced drivers is seen as risky, but the two acquitted themselves quite well in testing, so it would seem they can handle the job. Still, if they make mistakes that hamper other racers, they will not make many friends. 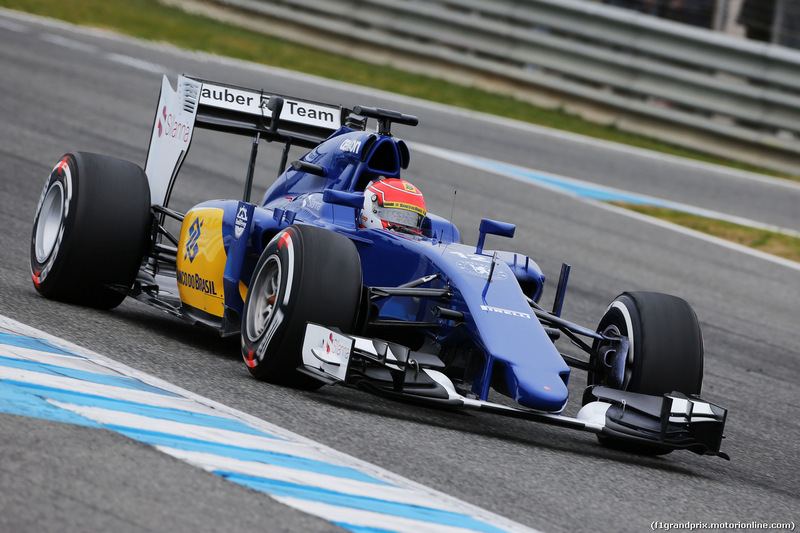 2014 was a miserable year for Sauber. They failed to pick up a single point and will be hoping that an improved Ferrari engine will offer them better race pace this time around. Marcus Ericsson (formerly of Caterham) and Felipe Nasr (formerly of GP2) represent a completely new line-up for the team. It’s difficult to say if they will enjoy a radical improvement in 2015. 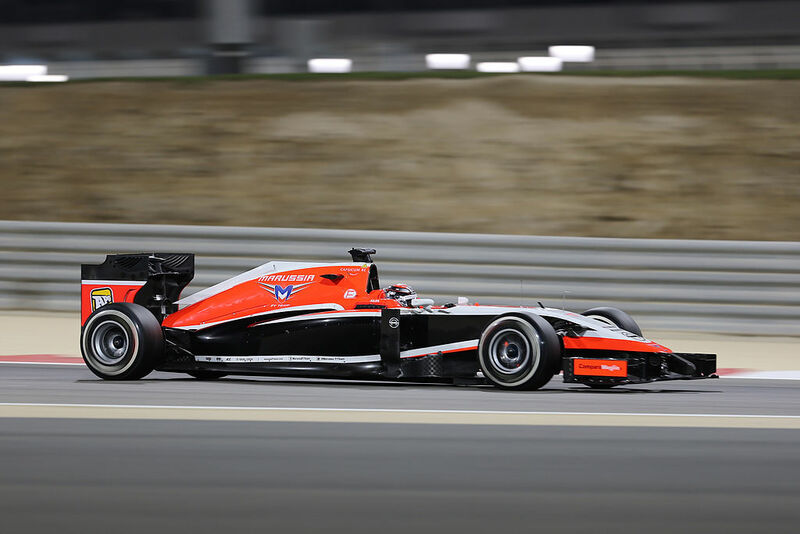 For the first time in their brief history Marussia scored points in 2014, thanks to Jules Bianchi’s 9th place in Monaco. Sadly, Bianchi remains seriously ill in hospital following his accident in Japan, and we continue to wish him all the best. His team went into administration last year (along with Caterham), and very nearly folded completely, but they are now back, albeit with two new drivers (Will Stevens is replacing Max Chilton and a second driver is yet to be announced), and running a modified version of their 2014 car whilst they hastily prepare their new car. It would seem likely that they will bring up the rear of the pack once again.